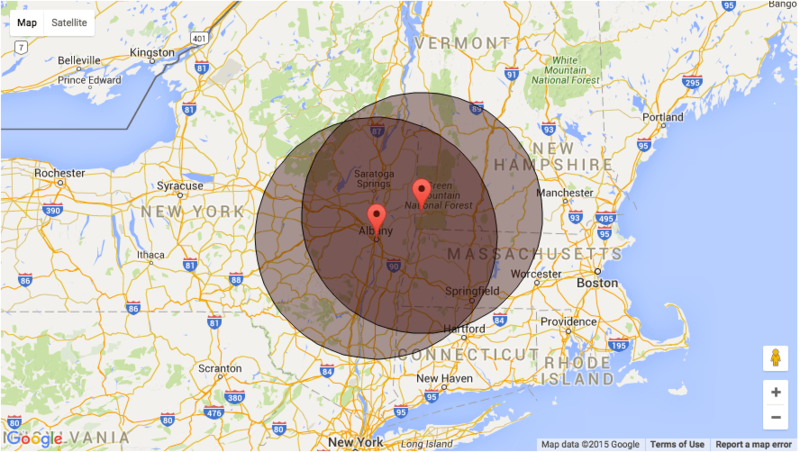 Chocolate Fountains in Albany, Schenectady, Troy, New England and beyond. At We Do Fondue, the Chocolate Fountain is the STAR of the show! The chocolate fountain is the newest descendant of the old fondue pot, except it is much more alluring to your senses. The sight is amazing, the aroma is exhilarating and the taste is indescribable! This incredible chocolate fountain is made of stainless steel, with a heated core from which molten chocolate slowly erupts over the top and flows downward, encasing the steel so the whole thing looks like a solid chocolate Stanley Cup! Splendid it is!! The chocolate fountain makes the luscious fruits such as red, ripe, juicy strawberries go brunette and all the more sumptuous!! Fresh, golden pineapple, and other fruits such as grapes, frozen or fresh bananas, apple slices, melons and dried fruit are all so flavorful when dipped in the cascade of flowing chocolate. And the scrumptious taste they have is simply wonderful! The list goes on… In the chocolate fountains you can also dip pretzels, potato chips, marshmallows, caramel squares, peanut butter balls, Oreo and Nutter Butter cookies, biscotti, graham crackers – anything you can think of that you can hold in your hand or spear with a skewer is luscious when dipped into the river of chocolate ecstasy! You can even ladle the chocolate over ice cream and it will become instantly crunchy! Our chocolate fountain is apt to handle the big epidemic of this Passion for Chocolate across the nation !! Especially in the wedding parties. Brides and Grooms are ecstatic to have something different and unique – have fun and be practical at their own wedding receptions. Our chocolate fountain just rises up to the occasion. 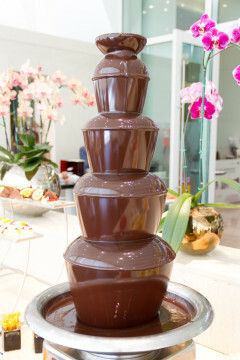 Brides and grooms are made for each other – so is our chocolate fountain is made for the occasion!! And not only a wedding but any type of event — Anniversary Parties, Birthday Parties, Holiday Parties, Proms, Corporate Events and Trade Shows to just name a few. Any event you name it , benefits when our Chocolate Fountain added to the scenario. Why? Because people really do have a Passion for Chocolate and are drawn to it like a magnet! admin on IT’S ALL ABOUT “SERVICE”! Diane on IT’S ALL ABOUT “SERVICE”!